Please note that this calculator will show you an estimate only and may not reflect the exact duct cleaning price. You can get better estimate if you will provide more accurate informant. You can always contact us to get more specific quote. If you may may need to share additional information about your problem then we would encourage you to call our customer service line. 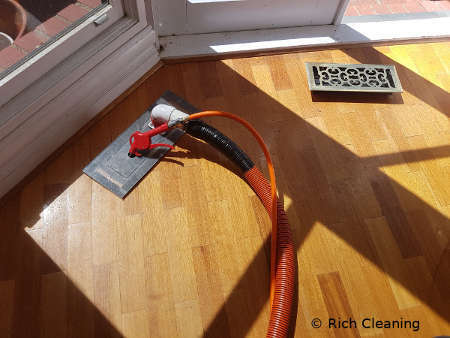 Rich Cleaning is know for providing best duct cleaning in Melbourne, book with confidence. How much duct cleaning cost in Melbourne? The final cost of the Duct cleaning services in Melbourne depends upon the inspection of your air ducts done by the professionals. Although, most of the companies build up their cleaning service charges as per the individual services they provide. If your duct system may need a general cleaning then you can find a quality duct cleaning company in Melbourne and get the job done. But if you may feel you have more issues and may require repair then the best way would be to call a technician and get on-site inspection done. You may have to pay for an on-site inspection but you may get some valuable information and then commit to the job with a piece of mind. 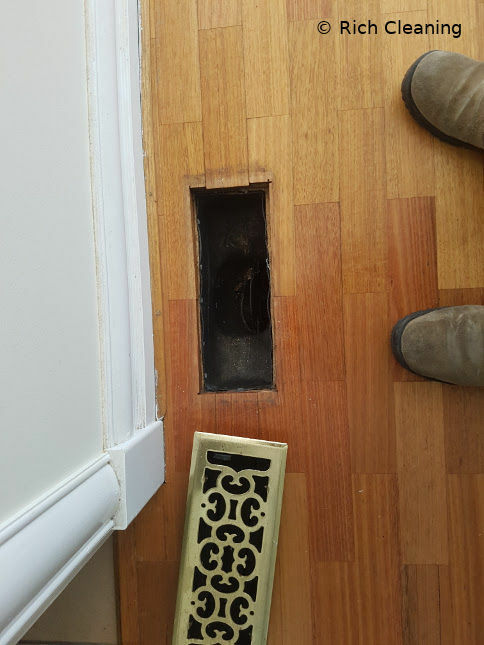 So, in any case, if you are willing to have more assurance about the quality of work provided or the prices charged by the Duct Cleaning companies in Melbourne, you can always check the feedback and reviews from the clients. However, you should always be aware of the fact that the cost of cleaning air ducts varies greatly by region and quality of the company. The cost of Air Duct cleaning can vary depending upon the circumstances, as the bigger and dirtier the system is, the more you will need to pay. In this duct cleaning calculator, you will get an estimate for your duct cleaning. Please note that it may not reflect the real pricing but you may get an idea. If you need a more specific quote then you can also talk to our experts and we are just a phone call away. The more information you will provide the better estimate you will get. You should also understand that the estimate provided by this system or quote over the phone would reflect the pricing based on the information and in several instances it will be similar but the final pricing is always provided by the technician on the spot after inspection. You will get a range of different pricing for cleaning duct systems in Melbourne. Some companies maintain a really high cleaning standard and they may not be cheap. If you are looking for a quality company to do an awesome job then you should get in touch with Rich Cleaning. Our process is very simple, send an enquiry with your duct issues or call our customer service line and get the quote. If the job may be bigger then you may request you to get an onsite inspection booking to ensure you get the proper idea about your issues and pricing. Based on your approval our technician will do the required job ensuring you get the quality job done. You may find tons of air duct cleaners in Melbourne, who promises cleaning services at cheaper rates but duct cleaning is related with your health and you should get the job done with a well trained professional rather than getting the work done by cheap and ordinary cleaners. Another reason why you need professional air duct cleaners is because they have many years of experience in this job. They have assisted many people from companies to individual homeowners in the past, making it easier for them to do a good job for you. 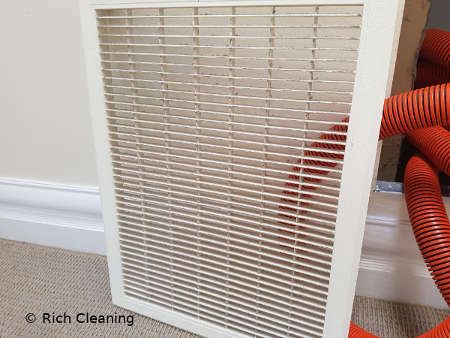 Number of Ducts: The overall cost of cleaning the duct system is affected by the number of duct channels being supplied to your home with cool or heated air because multi-ducts will require more time, effort and materials to clean them. Size of the air duct system: It is the most common factor that effects the cost of duct cleaning as the bigger the home, the longer will be the size of the air ducts, which increases the difficulty level of cleaning them. Degree of Contamination: The level of dirt, pollen and dust particles combined to form molds and spores grow and spread rapidly which causes allergies and diseases. Therefore, the cost of cleaning such contaminated duct systems increases.